The Packaging School produced the following video content as a media partner of LUXE PACK NEW YORK, the premier tradeshow dedicated to creative packaging. LUXE PACK NEW YORK is restricted to industry professionals, but we were given exclusive permission to create this video collection where you will hear from subject matter experts in the beauty, fashion & accessories, personal care, wine & spirits, gourmet food, consumer goods markets and more. Our 2018 videos are coming soon. Register below to receive updates! Iggesund Paperboard, headquartered in Iggesund, Sweden, is Europe's third largest manufacturer of high quality virgin fiber paperboard. 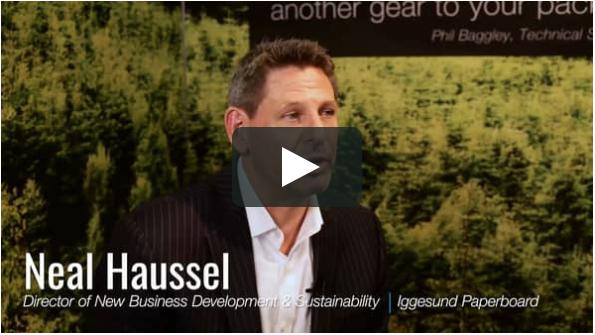 Listen as Neal Haussel, Director of New Business Development & Sustainability, stresses the importance of understanding the complexities of paperboard in order to become a better packaging designer. Ecological Fibers is the world leader in manufacturing premier, environmentally sound, cover and bindery materials for the book, stationery, packaging, and security documents industries. Dave Robbins, Vice President of Sales, talks about how you can drive your brand and be green at the same time. CTL Packaging is at the forefront of tube innovation, constantly developing new technologies for tube applications. Currently, they rank third amongst European tube companies with sales over 500 million tubes per year. Yesenia Calixto-Mendez, Commercial Assistant, jumps into some of the many possibilities of digital printing. Nick Gilmore, CEO of Creative Edge Software, knows the importance of getting to market fast. In this video, he talks about a tool that produces fast, accurate 3D digital prototypes and press-ready proofs in minutes. It's another valuable tool for packaging pros and builds on their existing knowledge of the Adobe Creative Suite. When it comes to staying on the knife's edge of what is happening in the packaging industry, Dan Rivard, Vice President of Business Development, knows just how to keep you apprised. In this video, he talks about how you can keep your fingers on the pulse of what's trending and what everyone is buzzing about in the packaging world. Aluminum has increased in popularity over recent years due to its versatility, its ability to keep contents fresh and its vintage appeal. Mike Meyer, Sales Agent from Linhardt, offers a quick run-down on the possibilities and seemingly limitless customizations for this popular packaging substrate. Glass is a packaging material that has been used for centuries. Bormioli Luigi has been creating beautiful glassware of the highest quality since it was founded in 1946. Simone Baratta, R&D Manager for Bormioli Luigi, offers some important nuggets you must consider before moving forward with your glass package design. Sometimes, you just can't do it all, so you need a 3rd party filler. Chris Nyarady, Regional Sales Manager at Montebello Packaging, goes over a few items for your checklist before you sign on with a filler. More than ever before, product sustainability is influencing the way consumers purchase. Ron Raznick, President and CEO of RTR Bags, brings years of experience to this conversation. Using creative design and the right materials, Ron touches on how you can make a big impact with consumers, with little impact on the environment. There's no need to reinvent the wheel. 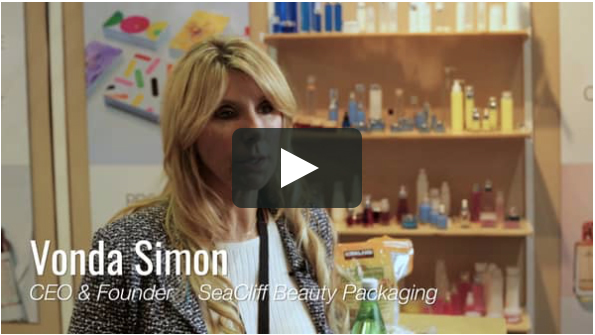 Vonda Simon, CEO and founder of SeaCliff Beauty Packaging, talks about how you can save time and resources by using stock packaging while still achieving a custom look. During LUXE PACK NEW YORK 2017, a room was filled to capacity as the audience listened to a panel discussion called Disrupt or Be Disrupted: Moving Beyond the Standard Modes of Thinking and Problem Solving. One of the panelists was Marisol Simard, Innovation Strategist and CEO of dandelion clocks Inc. With passion and expertise, Marisol describes how you can assemble a disruptive and agile innovation team. Register for this FREE video collection!